These 'Happily Ever After Advice Cards' will have all your guests laughing as they leave you their wisdom on your wedding day. 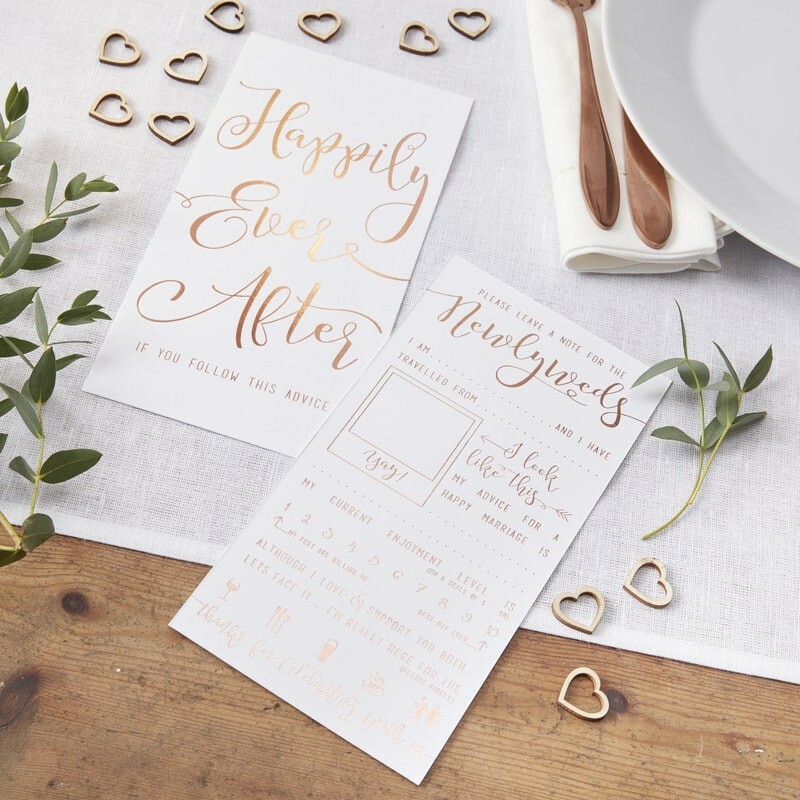 The rose gold foiled scripted writing will look stunning on place settings - your family and friends will love filling these out and is a loveable keepsake you'll have forever. Place these advice cards on each place setting so the guests can fill them out over their delicious food. Each pack contains ten advice cards measuring 20cm (H) by 10cm (W).